Once again Liberty Counsel is trying to intimidate teachers who coordinate activities with GLSEN. 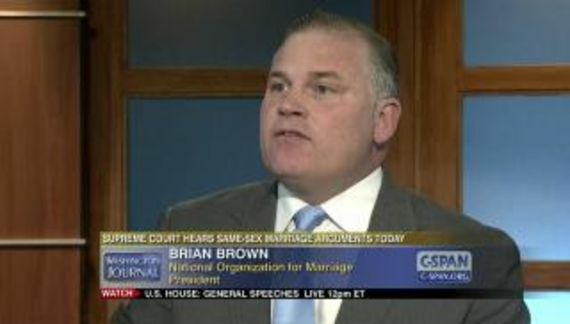 Liberty Counsel is a rabid and pernicious anti-LGBT hate group. 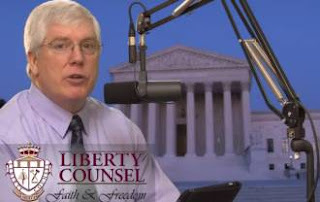 The already unhinged Mat Staver, did not like GLSEN's No Name-Calling Week which took place January 15-19. According to GLSEN, Liberty Counsel has sent out letters threatening to sue teachers and their school districts. At some point the federal judiciary has to realize that Liberty Counsel is a vexatious litigant. I have a FOIA request in process to obtain the documents associated with Liberty Counsel being given religious organization status by the Internal Revenue Service. Making matters worse, they can now operate in total secrecy without having to even file an annual tax return. Riedas was cleared of all charges which included harassing Christian students. Nothing she did in connection with “Day of Silence” was impermissible. Riedas was fuIf GLSEN's programs promote anything it is our humanityrther accused of being a sponsor of the school's Gay-Straight Alliance and “promoting” homosexuality and “gender confusion.” That's all part of TWG. The idiots at Liberty Counsel cannot help themselves. Staver is wed to the notion that anything in thIf GLSEN's programs promote anything it is our humanitye service of his god is honorable and decent. Such thinking is historically responsible for incalculable human misery. People have been murdered, tortured, imprisoned and ethnically cleansed on behalf of some egoist's deity. Liberty Counsel and GLSEN provide a contrast that Staver is incapable of appreciating. We can view the self-absorbed arrogance of folks at Liberty compared to the altruism of GLSEN. If GLSEN's programs promote anything it is our humanity. To vehemently object to that is obnoxious per se. LC objects through attempts to bully and intimidate people who disagree with them by using their law licenses as levers to create the perception of unequal footing. That is not just obnoxious. That is abominable.